Have you seen the video of a two year old boy drumming along to “The Pretender” by Foo Fighters? Wow! Here is a tiny little kid giving it everything on the drums and totally loving it. He’s even singing along! Now, as the parent of a two year old I can reassure you that most two year olds can’t play drums like this. My two year old may well be able to bash in time with the music, but she can’t yet play a solid groove for four minutes. This kid is really something amazing! At what age should we encourage our children to learn a musical instrument? I’d suggest introducing your little one to music in general as early as possible but leave ‘studying an instrument’ until they are mentally and physically ready for the challenges involved. For example, learning an instrument requires patience and practice – and in the case of drums, it requires physical ability too. I wouldn’t recommend drum kit lessons for a child who couldn’t focus on one task for longer than three minutes, or could not reach the pedals when sitting on the drum throne; yet I do encourage my little one to have a bash on the drum kit every day (with ear defenders on, of course!). I’m not trying to give her structured tuition but every time she has a play, she is getting a feel for the drums and learning to explore the sounds. So how can we help our children develop an interest in music? The best thing is to expose them to as much music as possible. Have it on in the background at home or in the car and encourage them to interact with it in any way they can (singing along, clapping, dancing, bashing along on an upturned saucepan). If you can get them enjoying music as a toddler, there’s a good chance it will spark a life-long love of music and that’s the best start they can possibly have as a musician. 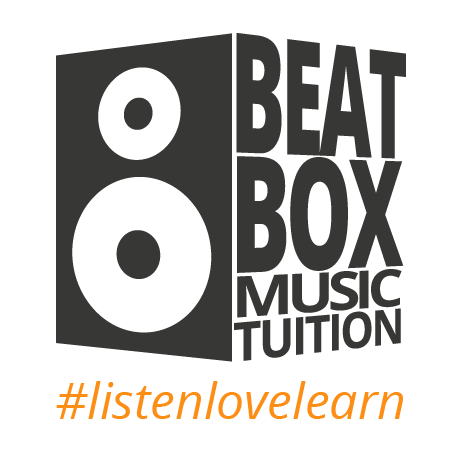 Madeleine Murphy is the Drum Kit tutor at Beatbox Studio. To find out more about drum lessons with Maddie, click here.